The applicants should be citizens or permanent residents of the United States or Swedish citizens. The applicants must supply a full, realistic project description, which indicates follow-up and a plan for disseminating research results. Persons who have made recurrent visits to or resided in Sweden will be considered only in exceptional cases. The grant may not be used to finance participation in conferences or regular ongoing vocational or academic courses. The scholarship is intended for professional enrichment and is thus not applicable to studies or work-related to academic degrees. The programme especially supports fields which the fund prioritises, i.e. politics, public administration, working life, human environment, mass media, business and industry, as well as education and culture. Applicants should have well-developed projects within the above mentioned fields of study. The Bicentennial Fund will award grants of up to SEK 30,000 each for proposed study visits to Sweden for two to four weeks. The Bicentennial grant may be used in conjunction with scholarships from other sources. The application is open between March and May, for projects taking place between January-December the following year. Two Swedish and two American travel grants are awarded. 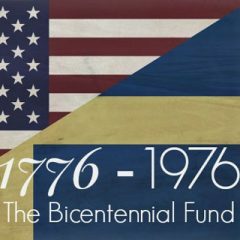 The Bicentennial Swedish-American Exchange Fund, for the exchange of qualified persons from the United States and Sweden, was established by an Act of the Swedish Parliament in 1976 in tribute to the United States Bicentennial and began operations in 1978 with grants to Americans and Swedes.